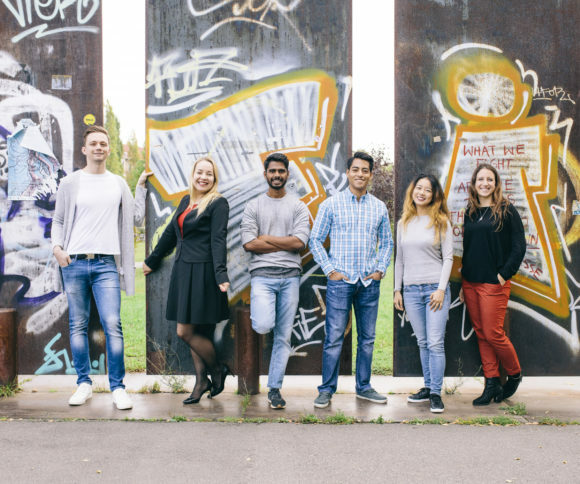 Cultural diversity is particularly high at HHL Leipzig Graduate School of Management: In the Full-time MBA M18, for example, the 61 students come from 24 different nations and thus also from many different cultural backgrounds – 95 % are non-Germans and all continents but Australia are represented. It is therefore hardly surprising that intercultural training courses are particularly popular at our business school. At the request of many students and due to the very positive feedback on the Cultural Diversity Workshop I of the Welcome Week, the responsible lecturer Raphael Schoen developped a course format and contents that follow on from the first, together with the MBA students. Success patterns of Trust – The base for International Cooperation: Trust is not established in the same way everywhere in the world. Raphael Schoen uses a variety of methods and games according to the goals: “I would like to deepen the topic of global teams with the students. The focus is on improving cooperation among each other and preparing future cooperation in international teams and especially for German management. This allows, among other things, a better positioning for the German labor market – an objective pursued by many MBA students.” The diversity expert is not only an experienced negotiator but also a corporate consultant in the fields of international market entry, global management and distribution. As an HHL Part-Time MBA Graduate and currently PHD Candidate Raphael Schoen has strong ties to HHL and knows about diversity conflicts and chances in class from his own experience. After their second training session, the students continued to be enthusiastic: “The workshop provides one with an interesting insight into different cultural perspective, be it in personal or professional situation. At a time when many of us are entering the corporate world, the case studies and scenarios mentioned in the course gives us a headstart in the methodology of working in an international team. Special thanks to Raphael Schoen, who was exemplary in his teachings!”enthuses Vinay Reddy, M18.